Crisis Response: The Center operates a crisis phone line for immediate safety planning and assistance 24 hours/day, 365 days/year. Emergency Shelter: The Center has two shelters—one each in Kentucky and Indiana—where individuals and their children can reside in a safe and secure place while receiving assistance to rebuild their lives and move into permanent housing. 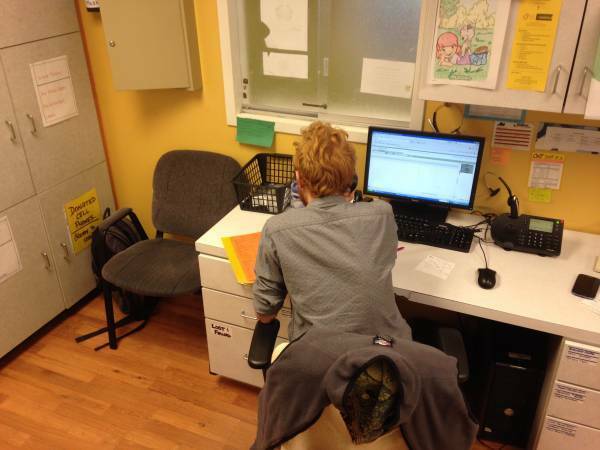 Sexual Assault Services: The Center provides 24-hour on-site advocacy at area hospitals to victims of sexual assault. We also have a specially equipped room at our JET campus where individuals who have been sexually assaulted and do not have other medical issues may choose to undergo a sexual assault forensic exam instead of going to a hospital emergency room. Our environment offers them the timely attention, care, privacy and support that are often sacrificed in a busy emergency room. Advocacy and Support: The Center works with clients to address immediate and long-term emotional, physical and mental effects of the abuse they have experienced. Through case management, counseling, therapy, support, and psycho-educational groups, economic success activities, and immigrant services, The Center’s advocates help clients reduce their risk factors, cultivate resiliency factors, and become engaged with their communities to lead empowered lives. CWF advocates also provide legal advocacy, which includes accompanying clients to court when they are pursuing protective orders. Housing: The Center maintains transitional housing units for families that lack safe long-term housing options after moving from emergency shelter. CWF also supports clients in finding permanent housing and providing financial and case management assistance through our rapid rehousing programs. Children’s Services: The Center provides direct services and assistance to children who have been victimized by exposure to intimate partner violence, including safety planning and psycho-educational groups for children five years and older, tutoring and academic support, and activities to help them develop positive social interaction skills, build their self-esteem, and establish healthy relationships with caring adults. Advocates also work with parents to help them understand how exposure to violence can affect their children’s emotional, intellectual and social development, and to help them develop positive parenting skills. PACT in Action: This is The Center’s dating violence prevention initiative that focuses on working with teens in high-risk neighborhoods in Louisville: Park Hill, Algonquin, and California. PACT In Action seeks to reduce dating violence through training, increasing teen engagement with positive role models, reducing risk factors and increasing protective factors in the community. Own It: This is The Center’s prevention initiative to engage men and boys in helping to end gender-based violence. Awareness Activities: Each year, The Center provides community education and training to more than 10,000 people. Through community education, The Center strives to build awareness about its services, dispel common myths, increase public knowledge, enhance professional skills and provide a framework for prevention. Professional Training: The Center’s Prevention Education Team trains professionals (e.g., attorneys, physicians, police, and educators) to recognize violence where it occurs in their communities and to become “active bystanders” thereby reducing violence and preventing its reoccurrence. Community Shield: Reducing the Impact of Violence on Children: The Center is a core and founding partner of Community Shield and contributes leadership to this city-wide network of 40 agencies concerned with how exposure to violence places children at risk. Each agency involved delivers different services and focuses on different types of violence, but all share a common concern. Through the Community Shield, we coordinate services, increase collaboration, eliminate duplication, and accelerate community problem-solving. The Lethality Assessment Program: The Center collaborates with the Louisville Metro Police Department (LMPD) to reduce the number of intimate partner violence-related homicides in Louisville. LMPD Officers who respond to domestic violence calls administer a lethality screen to determine victims’ risk of being killed by their abusers. Victims who “screen in” are immediately connected to our counselors for shelter and safety planning services. Other Collaborative Partners: The Healing Place, JADAC, Family & Children’s Place, Home of the Innocents, Catholic Charities, Legal Aid, La Casita, Family Scholar House, Kentucky Humane Society, the University of Louisville, Kentucky One Health, TARC, Volunteers of America, Coalition for the Homeless and Goodwill.